Hello friends! 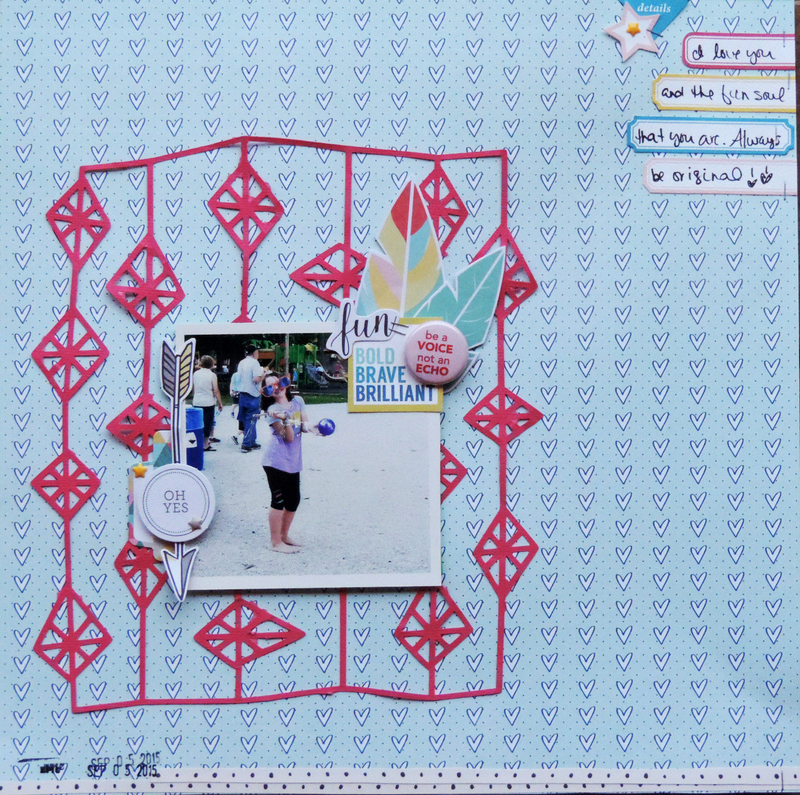 I have a layout to share with you today that I absolutely love! It's pretty simple compared to some of my other layouts, but the items in this kit were so perfect for this photo, that it didn't need a lot! I used the "All of You" kit from Scraptastic...and I have to say, it about broke my heart to use that whole heart paper for the background...but nothing else seemed to fit like it did. Some of my favorites from this kit were the exclusives, and again how perfect they were for this photo. That flair badge...amazing for this! She definitely stands on her own! I broke out the silhouette and used the subscriber cut file...I kind of wish I would have used some white paint behind it to make it pop a little more...but I really like having that solid heart all around. Nothing like good product to pull you out of a rut...excited to be feeling that scrappy "mojo" again! Thanks for stopping by...have a good one, and take time to create something you love!